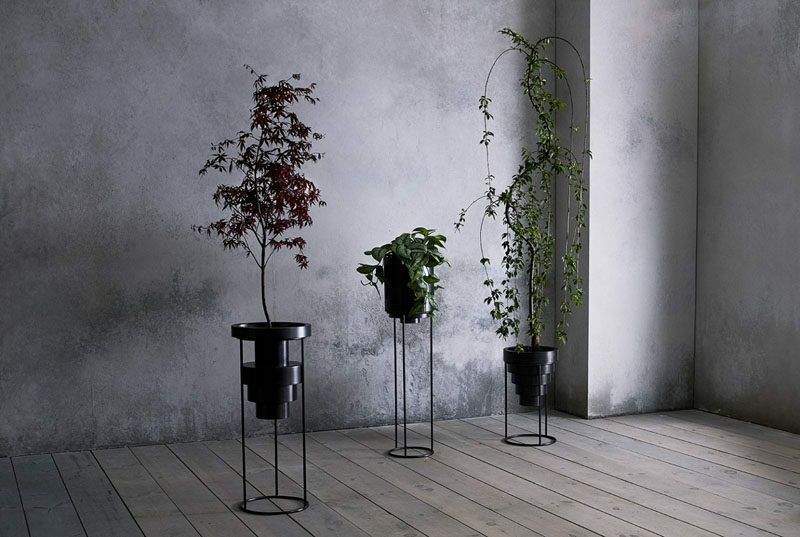 New York based designer and artist Anna Karlin, has created a collection of modern plant stands named ‘Layered Planters’. 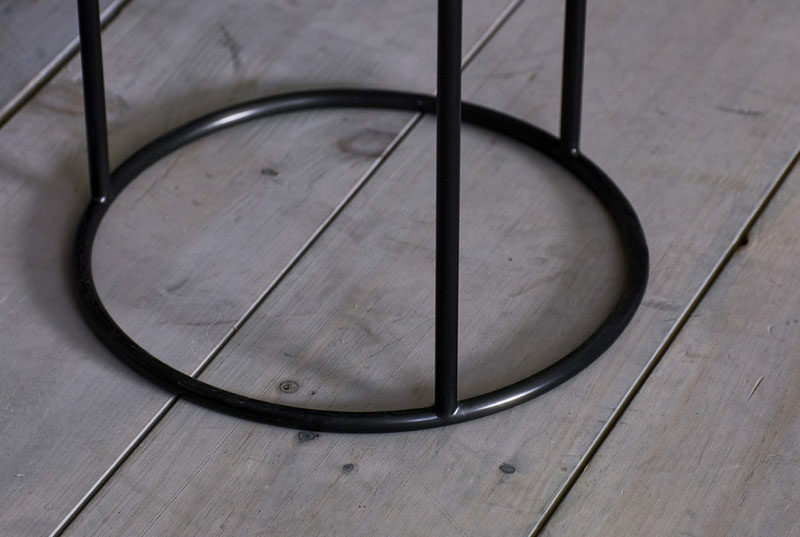 The collection which includes a three different shapes, has an upper section that’s been made from cold rolled stainless steel with a rich satin black finish. The various shapes that have been made from rolling the stainless steel create a void that allows you to place your plant within them. At the base of the planters is a simple stand that can be custom made to your own specifications depending on how tall you want your planter to be.